Spring is officially here. The days are getting longer, warmer and brighter. Everything is green and the flowers are starting to bloom. It’s also a busy time for pest control. In the foothills, insects and other pests who have been nesting and less visible during the winter set out to expand their nests and increase their numbers. This is especially true when we have a wet winter like this year. The three most common pests to watch out for in the foothills (Auburn, Lincoln, Colfax, Grass Valley, Rocklin, Roseville and the surrounding areas) during spring are odorous house ants, paper wasps, and bats. These pests may have been mostly dormant during the winter and will be working overtime to build their nests as the weather gets warmer. It’s best to get to them early. 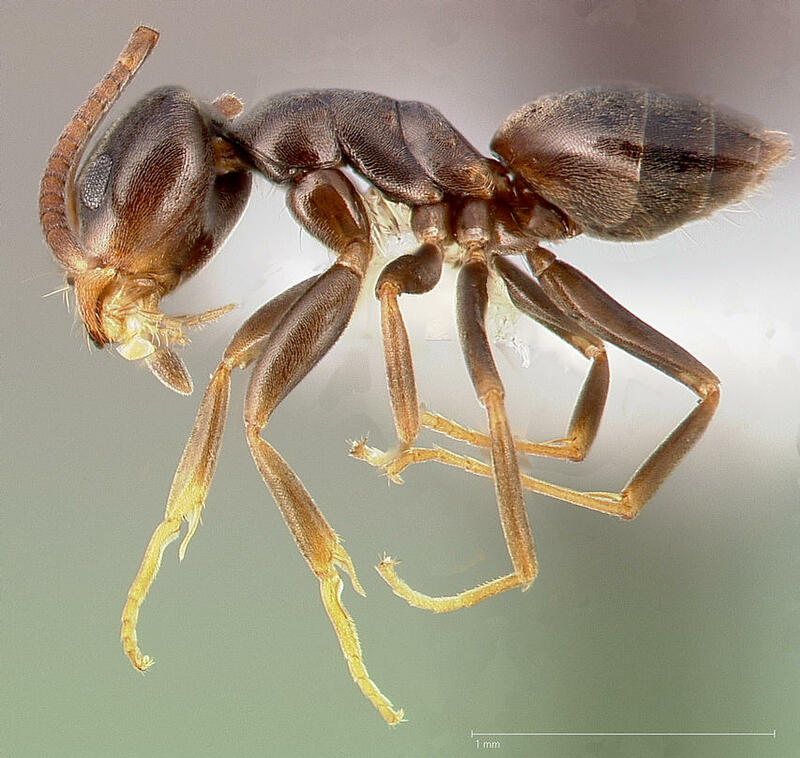 Known for the foul odor they emit when crushed, the odorous house ant is one of the most common pests in northern California and can be found throughout the United States. They are approximately 1/16 to 1/8 of an inch and range from brown to black. 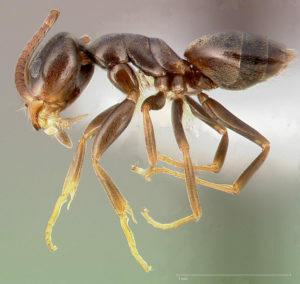 You can find more information on identifying an odorous house ant here. They can feed on just about any food to be found inside your home and are able to reproduce at an astounding rate making them very difficult to get rid of. Once a nest is established in your home, odorous house ants can be very difficult to eliminate. The key is to track the lines of workers as close as possible to their nests and spray and bait. This can be difficult to do as their size allows them to travel through even the smallest holes and cracks. It may take several weeks or more to eliminate a nest. Odorous house ants are also very crafty and will enter your home however they can. Take precautions to remove branches, wires and lines attached to your home. Use caulking to seal any cracks or holes. You can find a guide here: Keep Ants Out of Your Home. The ideal method as always is to keep them from entering your home at all. Our service keeps a layer of spray around your home that acts as a barrier for any insects trying to get in. Keep branches and debris away from your home. If you find a line of ants trying to enter your home, don’t wait. Take action immediately. It is easier to deal with ants trying to come into your home than once they are nested within your walls. Dealing with wasps is a little different than dealing with ants as wasps can attack quickly and have a nasty sting. It is even more dangerous for someone who has is allergic to bee stings. In this case, prevention is definitely the best method. 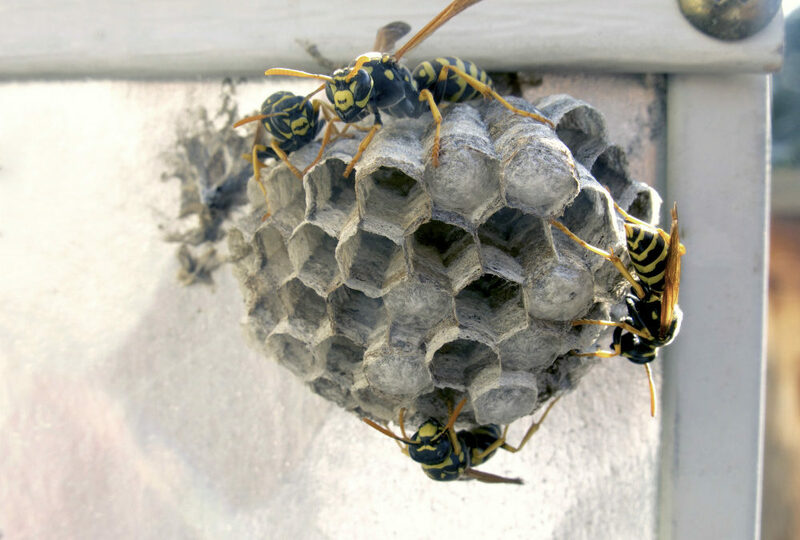 Having your home sprayed by a pest control company in early spring will put down a barrier that will stop wasps from nesting on your home. One of the key factors that set us apart is our use of power sprayers. While most companies use only hand sprayers which have a limited range, our power sprayers are able to reach all parts of a home including your eaves to stop wasps from nesting. When dealing with an established nest, be very careful. 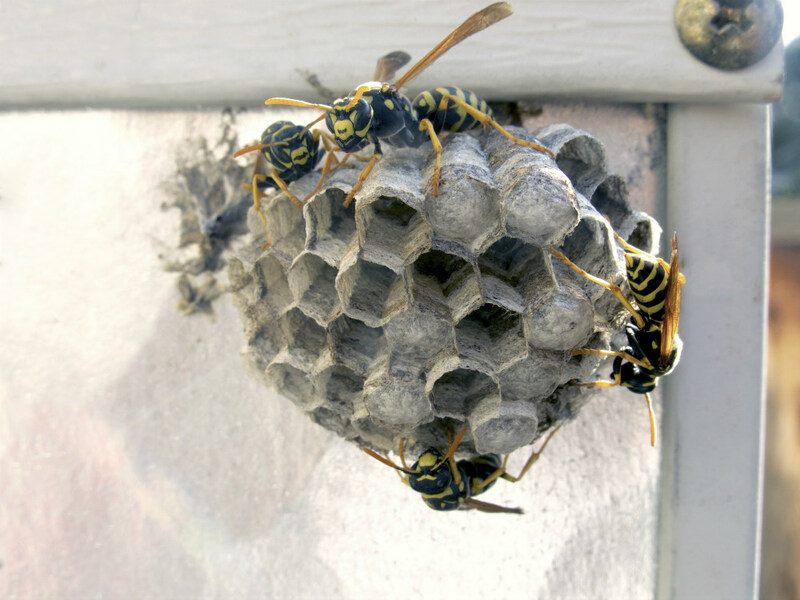 Paper wasps will attack when they are threatened. Bee and wasp spray purchased in most stores is quite potent so be sure to keep your skin and eyes protected. Once the wasps have been eliminated the nest should also be removed. Bats perform some very important activities. First, they eat a lot of insects. They also pollinate flowers and help spread seeds. Bats are great to have around, but you want to keep them out of your home. Whether you are the type of person who thinks bats are cute or the type who thinks they are scary, like the other two pests listed above, bats may try to nest in your home. Bats will be leaving their feces wherever they nest and can also carry disease. The two most common diseases associated with bats are rabies and lung disease. While bats can fit into very small holes as little as 3/8 of an inch, they are definitely easier to keep out than most insects. Bats can’t nest in your house if they can’t find a way in. Seal up any small holes around your home using caulking or foam. Steel wool can also be used and will help keep out rodents. For larger holes, use wire mesh. You can find a more detailed article on sealing your home here: Pest Control Tips to Keep Your Home Pest Free. Bats in the Auburn, Lincoln, Roseville areas give birth in late spring or early summer, so it is best to wait until around August to seal your house to make sure that the babies don’t get trapped inside. You can find more on bats here: Bat removal. You can also find more information on the different kinds of bats and their habits here. Once the bats are out of the house, we recommend that homeowners install bat houses to make sure the bats stay in your area. Gold Miner Pest Control has years of experience removing bats from homes and we identify where the bats are entering and exiting your house and make sure that your home is completely sealed to avoid problems in the future.